I thought it might be interesting to read a story about how the gospel changed the world. Stories like this could be repeated over and over again in many times and places! The people of this island were backward and uncivilized. They were half-naked and indulged in cruel activities. But they were afraid of the evil spirits. To appease the evil spirits, they worshipped idols and practiced sorcery. The sorcerers were held in high esteem. They did not believe in natural death. When a person died, they would call a soothsayer and would ask the reasons for death. If the dead person had an enemy and the sorcerer mentioned his name, they would get him killed. The relatives of the person, that was killed, would rise up against the killers and many more murders would follow. When a husband died, they would strangle his wife to death and bury her along with him. When the aged became a burden to the family, they would beat the aged people to death. They worshipped devils and spirits of the ancestors. John Williams, who went to them as the missionary to tell them about Christ, was beaten to death. Many other missionaries who followed John Williams met with the same fate. Some were chased out. When John Paton landed in this place, there were a few Christian families. They had been won to Christ by missionaries who worked among them in the midst of stiff opposition. Tanna was also one of the areas which showed much opposition to the ministry. The sorcerers of this area vehemently opposed the missionary work. They blamed the missionaries for natural calamities such as famines, cyclones, floods and droughts. So they mistreated the missionaries and threatened to kill them. When John Paton landed there and started building a wooden hut, he could watch a few people eating human flesh and indulging in revelry. Paton began to feel great pain and anguish in his heart about the miserable condition of these people. Their language had no written form. Paton spoke to them in signs and movement of his hands. “What is this?” “What is your name?” These were the questions he first learned and asked everyone whom he met. He wrote down the details he thus collected. He then learned their language by speaking to them constantly. The Lord blessed John Paton and his wife with a son within a year since their arrival in the mission field. But tragedy struck soon. His wife was affected by a viral fever and she died. In a week’s time, the child also died. He dug their graves with his own hands and buried them. John Paton was very much grief-stricken. In his agony, he said, “If Christ’s abiding fellowship had not been with me, I would have become mad”. His life was constantly under threat. The tribal people took away all his belongings. His bed, bed-sheet and vessels were stolen by them. Not even a single vessel was left behind for cooking his food. So he appealed to the village leader and got back a tea vessel and that too, without the lid. The tribal people used to celebrate a festival and in that festival they tried to spot out the man who caused death among them. During one such festival, they caught hold of John Paton and made him eat food, casting magic spells in order to kill him. But nothing happened to John Paton. The two sorcerers who did this were amazed. This aroused a curiosity in their hearts to know of Christ Jesus, the God of John Paton. Others too tried to kill him because he spoke against the practices of liquor distillation. The dreaded disease, small-pox, caused many deaths in the islands. The tribal people blamed John Paton for the spread of this disease. A group of people came with the village leader to kill him. John Paton was repairing his house at that time. Knowing fully well that he could not escape from them, he simply knelt down and prayed, “Lord, protect me according to Thy word that Thou would give anything that we ask”. One by one, they left the scene. Everyone in the crowd felt that God’s presence was with him. But opposition continued to grow. For a change, John Paton left for Australia and there he involved himself in raising prayer and monetary support for his ministry. The Sunday school children alone gave Rs.10, 00,000/- to his ministry. He returned toNew Hebrides with a shipload of gifts for the people. This time he began his ministry in Aniwa, an island close to Tanna. The people of Aniwa were receptive to him. The ministry began to grow. The elderly village leader also accepted Christ. John Paton taught them to wear clothes, emphasized the importance of education. The whole island of Aniwa (seven miles in length and two miles in width) turned to the Lord. Realizing the need for drinking water, he dug a well with the help of the people. The people were surprised to see water gushing out from the deep. They exclaimed, “Rains from the depth of the earth”. On tasting the water, the village leader ordered all his people to accept Christ and to throw away all their idols. In 1899, Paton translated and released the New Testament in the Aniwa language. After 10 years of hard work, the gospel began to spread in many islands. By his efforts, two orphanages, churches and schools were built. A school exclusively for girls was also started. With the spread of the gospel, incidence of social crimes and murders came down drastically. Missionaries came there and worked in 30 islands. The Church of Aniwa grew in strength. A Bible School was started to train the local evangelists. 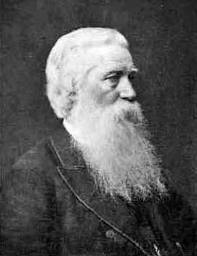 John Paton toiled in Aniwa till the end of his life and translated the whole Bible in the Aniwa language. Even in his good old age of 73, he conducted three services and gave sermons. He died on 28th January, 1909 at the age of 83. With his own eyes, he could see thousands of people turning unto the Lord. Even now, five missions work on this island. As you can see, they’re no longer cannibals! Thanks to the work of Christian missionaries such as Paton, Jesus, the Light of the World, came to Aniwa and delivered them from their darkness. Previous Old Testament “Slaves” Were Employees! Thank you, Diana, for this post about Dr. Paton: a life inspired by the Word which inspired many others and still acknowledged in Vanuatu. Truly a witness to the Great Commission (Matthew 28: 19-20) and Psalm 96: 3 “Declare His Glory among the nations and His Wonders among all peoples”. Drew PATON…are you a descendant? John Paton was a great man of God who gave all for his Savior. I love the Body of Christ. They are the heroes of history. So precious. I hope I can meet him one day! I am uncertain if I’m a descendant of Dr. John Paton, although Isobel, his great grand-daughter, like myself, was born in Tasmania, Australia. Rev’d John Paton, like all the saints who had past eminence (John Wycliffe, William Tyndale), are high profile testimonies that are valuable instruments given at the Hand of a Merciful and Loving God which affirm the Gospel Message. Undoubtedly, you’ll meet all these people in Heaven. Jesus’ idea of greatness is very simply declared in Luke 22:27 “I am among you as the One who serves”. The Lord’s declaration became their declaration. May it become ours: the duty of the highest is no less the duty of the lowest. Luke 22:27 suggests we have an obligation to make the best of our lives as witnesses for Christ on this earth before we pass on to the Higher Authority in Heaven which will be our best and noblest service hereafter. Hi Drew! Thank you so much for this information. It melted my heart. To know that the people of Vanuatu are still grateful for the ministry of John G. Paton is so precious. His ministry wasn’t in vain. The loss of his wife and child wasn’t in vain. Such a hero! Men like Paton changed the world and set the people free from the darkness of paganism. Jesus truly is the light of the world! Amen, Diana! The Lord Jesus is the Light of the world! •	He “kept the faith”, remained committed and loyal to his Saviour who rescued him from sin and spiritual darkness, as with the people of Aniwa and Tanna. We can thank God our Lord for the courage of John, his family and all who served courageously and sacrificially in a foreign land. John G. Paton’s legacy saw an island plus more turn to Christ, strengthen the church on earth and awaken a call to missions.